Dinner in the Sky was founded in Belgium over 30 years ago and first came to Vancouver last year for a sold-out month of July, delighting diners with gourmet food, cocktails, wine and stunning views from over 100 feet in the sky in North Vancouver. WESTCOAST Sightseeing acquired Dinner in the Sky Canada in early 2018 and will amplify and expand this unique experience. It is now enjoyed in 62 countries worldwide. 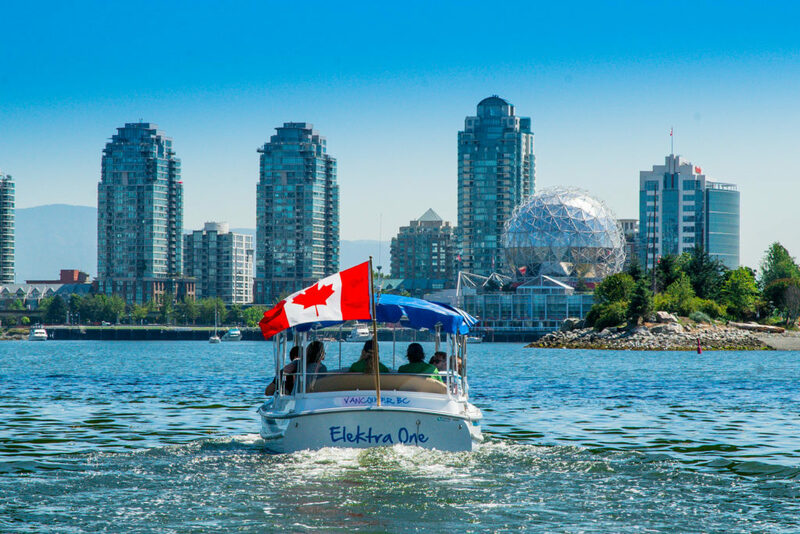 Vancouver’s first Zero-Emission Electric Boat launching in Coal Harbour this spring.